BLOX ThrottlePosition Sensor (TPS) - Dezod Motorsports Inc - Home of the automotive performance enthusiast since 2002. The throttle position sensor (TPS) is basically a potentiometer that provides a variable resistance dependent upon the position of the throttle. There are many different instances when one needs to be replaced. Consequently, in order to purchase a replacement your only options were to buy a brand new throttle body assembly from the local Honda dealer or to find a used one from a local junk yard. 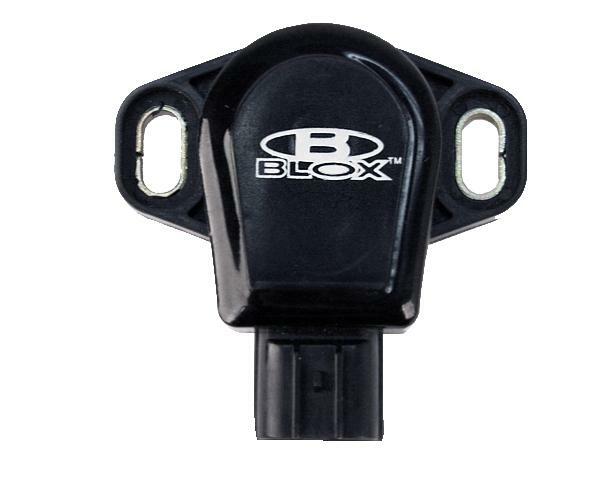 However, BLOX Racing offers an economical solution for replacement throttle position sensors. All BLOX Racing TPS are brand new and are provided with a gasket. Note: TPS not available for Honda single point ignition systems.